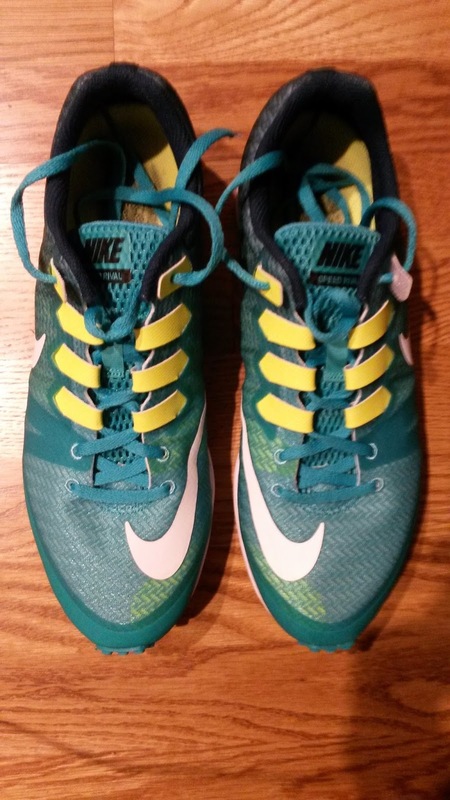 The first thing you will notice is that the forefoot outsole looks very similar to the Streak XC and LT 1 and 2. The nubs on the forefoot have been more durable on the Rival 5 and have given just as good traction on a variety of surfaces. There is a Zoom Air unit in the heel which along with the firmer but not stiff Cushlon gives the shoe a fairly responsive ride. The heel also has XT 3000 rubber which has been very durable and responsive. There is far more shoe in the Rival 5 than the Streak LT/XC series and I would classify the Rival as a lightweight trainer or borderline marathon racer. 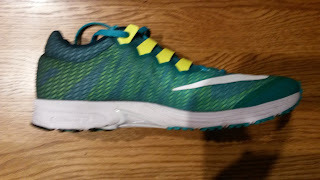 While I have been frustrated with the extremely narrow midfoot of other Nike Racers, the Rival series does not narrow as much through the midfoot, giving it a slightly more stable ride. There is a plastic shank in the midfoot that is integrated into the sole and almost feels like it extends into the forefoot. 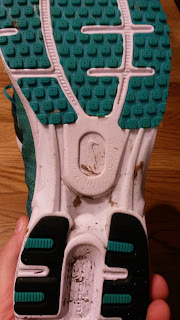 The shank adds to the responsiveness of the shoe but does not detract from the ride thanks to a full ground contact outsole (my problem with asics and their midfoot shank is that it completely separates the forefoot and heel as well as leaving a space under the midfoot that has no ground contact. 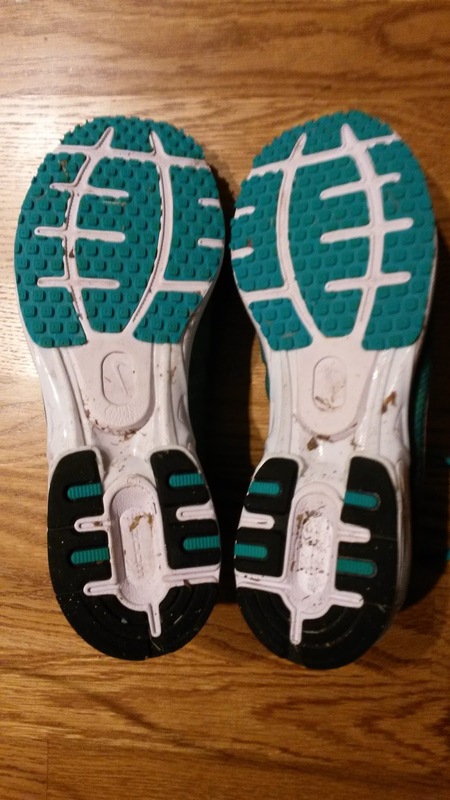 A full ground contact outsole has a smoother ride and better transition through the gait cycle in my opinion). The transition through the forefoot is fantastic due to the firmer Cushlon and those forefoot nubs. The heel was a little abrupt at first but broke in nicely. There is a very mild curve at the heel to help with the transition but it is minor. However, as the shoe breaks in, the midsole, which as you can see has an accordion-like set up in the heel, compresses nicely had helps push you forward along with the Heel Zoom unit. The drop feels to be around 8-9mm if I had to guess. There is enough there to be a daily trainer but not too much to be an uptempo shoe. 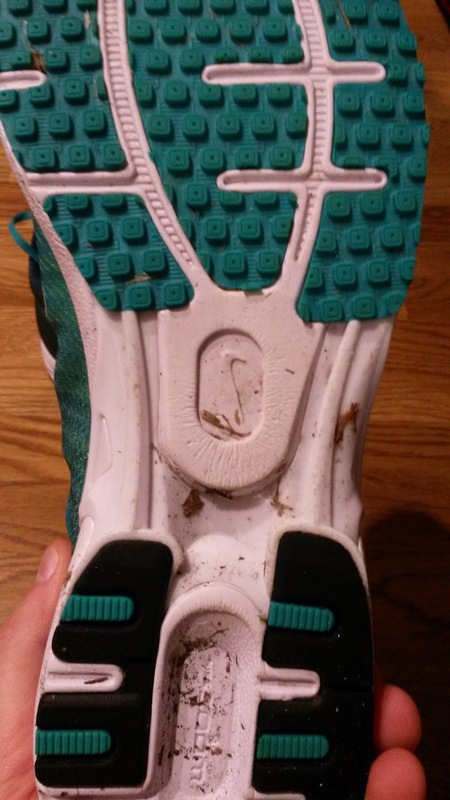 Although the stiff heel takes a few miles to break in, I have not found that it gets in the way during easy or fast runs. For those that stick to low drop shoes, you may be better off in the Streak 6 if you are looking for a long distance racer. For those who like responsive heel cushioning in their distance racing shoes, the Rival 5 will fit the bill. As the Nike Zoom Speed Rival 5 is technically a lightweight trainer, the upper is a little thicker than most racing flats. There is a heel counter that is embedded in the moderately cushioned heel aspect of the upper so while it is not aggressive and should not irritate most people's heels, those that are very sensitive (with Hagland Deformities) may want to be careful as always. There is not a last set of eyelets to lace lock the shoe, so those with very narrow heels may have some minor difficulty as the heel fits about average. 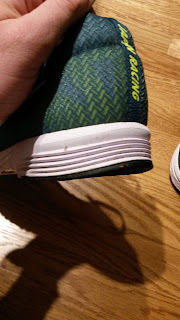 The lack of last set of eyelets (which seems to be a problem with the Nike Japan shoes I have tried) means you may have to tighten them down more instead of being able to lace lock the shoe. Instead of flywire, the Zoom Speed Rival has plastic extensions that run along the side of the shoe in a similar pattern to which the laces connect. I have not really felt anything drastically different compared to flywire, but they appear to do the job and my foot has not slid around at all. However, that may be due to the racing/snug fit of the forefoot that holds my foot well. The forefoot does fit a tad bit narrower, especially due to a lower toebox height than many trainers. 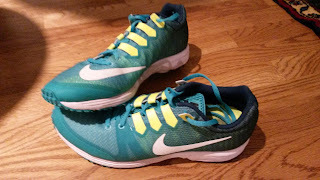 Additionally, the toebox does taper fairly quick, but no faster than many other racing shoes (Adios). 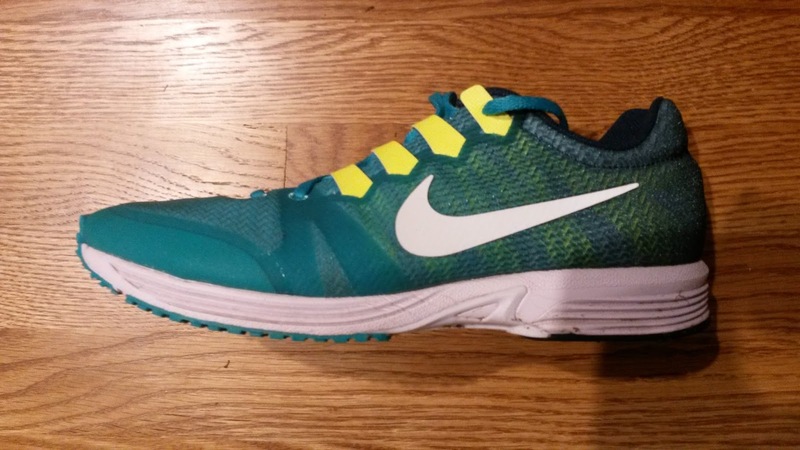 Have I been spoiled by the fit of the Nike Streak 6 (REVIEW)? Yes. However the upper broke in fairly quickly and again I want to mention that the fit is snug not tight. I have done several 8-12 mile workouts in this shoe and never once have my feet felt cramped. 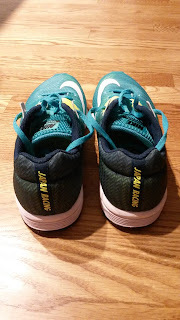 Those with wider or higher volume feet may want to check out a larger width, which Nike Japan usually carries in their racing shoes (usually). Those with highly sensitive feet that require Altra-like toe-box shapes, I would look elsewhere. Sizing wise the Nike Zoom Speed Rival 5 fits fairly true to size. The lower toe box does make it feel a little snug at first but upon breaking in seems to fit nicely to the foot. So I would go with your normal size. I am a size 10 in most shoes (Pretty much across the board in road shoes from Nike, Adidas, Saucony, Brooks and Skechers Performance) and a size 10 in the Zoom Speed Rival 5 fits me perfectly. Breathability wise I have not had any issues, but cannot truly comment yet as I have only run in cool temperatures (40-60 degrees) in this shoe. Yes I live in Southern California, but I do my training primarily in the early morning due to working full time as a Doctor of Physical Therapy. Right now it is staying somewhat cool between 4:30 to 6:30 am. The ride is fairly responsive but not overly firm. The Nike Zoom Speed Rival 5 is similar to other lightweight 7.5-8oz lightweight trainers/marathon racers like the Saucony Kinvara, Adidas Adios series, New Balance 1400v4 (thanks to the massive weight gain that shoe had). The difference is that the Rival 5 has a higher drop than the Kinvara, is more stable than the Adios Boost series and is a little more shoe than the 1400v4. The Nike Zoom Rival 5 is meant as a lightweight trainer and partner to the lighter Zoom Speed Racer but can definitely be utilized as a long distance racer. Between the Streak 6 and the Zoom Speed Rival 5, I would be more inclined to reach for the Rival for half marathon to marathon distances whereas the Streak 6 has worked well for 5k to half marathon for me. Full disclosure, I use the Rival 5 for all my workouts that require me to warm up and cool-down in the same shoe I do the workout in. The versatility of this lightweight trainer is such that you can pretty much do anything in it. I may have addressed this previously, but due to the presence of a midfoot shank (that is integrated into the shoe nicely without totally separating the forefoot and heel) I'd like to talk about the Plantar Fascia. What is it? Most runners only hear about it via Plantar Fasciitis and assume it is a bad thing. The plantar fascia itself is a band of tissue that runs from a tuberosity on your heel bone (calcaneus) to your toes (specifically to the metarasal heads). The function of the plantar fascia is to support the medial (longitudinal) arch of the foot along with muscular assistance from the posterior (and anterior) tibialis, fibularis longus, abductor hallucis and other intrinsic muscles of the foot. The plantar fascia is also extremely cool because it is a performance enhancer when utilized correctly. When you can properly extend (lift) your big toe, the plantar fascia tightens and help transmit the forces generated by your calves to propel you forward (this is also called the Windlass Mechanism). It helps you utilize the forefoot rocker (going over your toes ONLY if you have enough flexibility) as it also helps to stabilize and maintain your arch when the foot re-supinates and stiffens during terminal stance and toe-off. The short version of all of that is that it helps stabilize your arch and helps transmits the force generated by your calves to propel you forward. The plantar fascia tends to get irritated when it is over-utilized due to weakness elsewhere in the foot and leg. If the muscular stabilizers of the arch are not doing their job, (posterior tibialis, fibularis longus, abductor hallucis, foot intrinsics), ie weak, then the plantar fascia is loaded with all of the forces normally meant to be distributed evenly among the different structures of the foot. Usually this results in individuals pronating heavily, which means collapse of the medial arch beyond normal (pronation is normal, excessive loading is not depending on individual biomechanics). Add in the fact that most runners have very tight calf muscles, which means now the joints of the foot are not being loaded evenly (ie the talocrural or primary ankle joint is stiff from the tight calves not allowing it to be fully utilized, thus the subtalar joint and midfoot joints are overload to compensate for the loss of motion)... you're going to eventually have a problem somewhere! Making sure all the joints are evenly utilized, all the muscles are strong, flexible and balanced is the key to avoiding injury. When one muscle or joint gets stiff, weak and overloads another muscle and joint, that's when problems arise. The best way to ensure injury prevention is to make sure everyone is doing their job and no one is being overworked too much. Whispers of the Zoom Speed Rival 6 are already out (thank you Dave Ross, aka NIKEMAN) although I am not sure of a specific release date. However, I would like to see a similar forefoot upper fit to the Nike Streak 6 that is a bit more anatomic but still fits snug. The Rival 5's forefoot breaks in well, but tapers a bit fast at the toes initially, although this never bothered me. I would also like to see a bit more heel curve to smooth out the initial contact of the gait cycle a bit more rather than having to wait to break the shoe. I do understand this is more of a training shoe than a racer in the Japanese market, but would like to point out how awesome the heel and forefoot transitions of the Nike Zoom Pegasus 33 are (I am now training full time in that shoe and it has become my favorite daily trainer of all time. I may have to write a second review based on my own thoughts to supplement the one from my buddy John). I have enjoyed my time in the Nike Zoom Speed Rival 5 and will continue to use it as my primary workout shoe. It would be my first choice for a marathon racer and has been very versatile use wise. I have done workouts, recovery runs and longer runs in this shoe without any problem. The snugger fit holds the foot nicely without being tight and the responsive but not overly firm sole can handle any speed (even sprints as I found during an impromptu speed workout). I would like to see that heel smoothed out just a bit and a forefoot fit similar to the Nike Streak 6, but other than that have no complaints! Plus it is a special Japan Racer, so the Rival 5 receives bonus points just for being cool. Additionally, this shoe can be found for $50-70 on most European websites, so seems to be quite a bargain shoe for the quality that it brings! I have had absolutely no durability issues over the 35 miles very hard miles I have used this shoe for and expect to get +300 miles out of it. 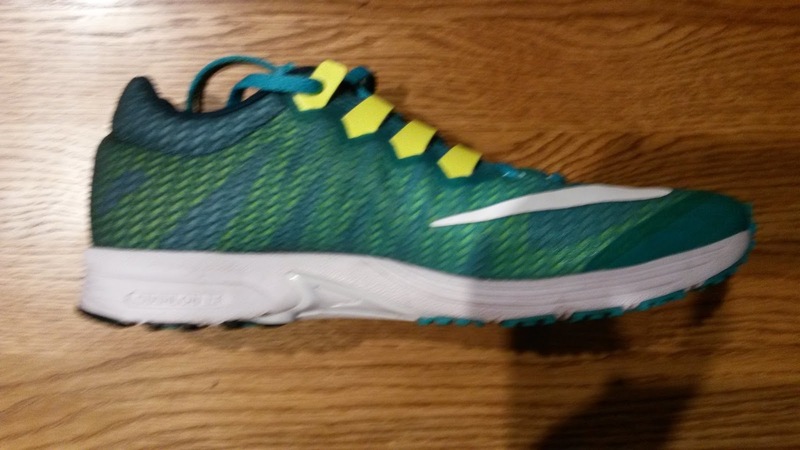 So if you are looking for a somewhat snug (but not uncomfortable) versatile long distance racer/lightweight trainer that is a little firmer and stable (ie not boost) but not overly firm (my unboosted Adios 2s at times) take a look at the Nike Zoom Speed Rival 5. 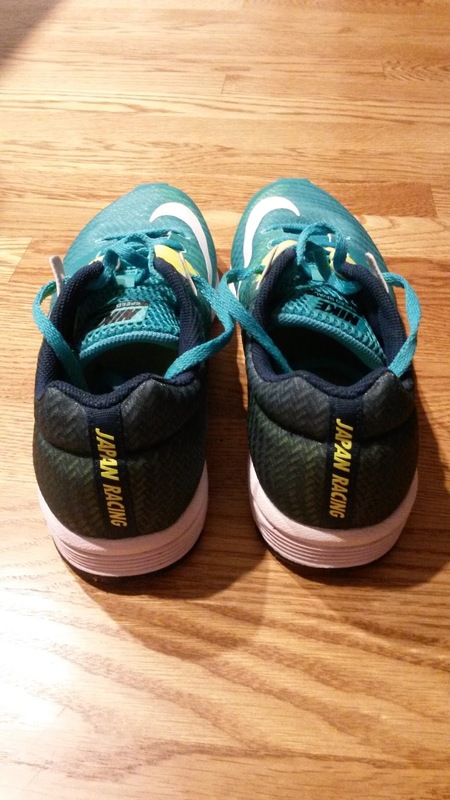 These shoes were purchased new on Global Raktuen for $80. They are currently not available in the US and MSRP seems to be $50-$90 on European and Asian websites. I put at least 75 miles on every pair of shoes before I review them (except racing flats which I put on at least 25 miles). Currently I have 36 miles on my pair. As always, my views are my own. My blog should not and does not serve as a replacement for seeking professional medical care. If you are currently injured or concerned about an injury, please see your local running physical therapist.